And here is a more detailed contemplation of that report. That CBO report got little play from leftist birdcage liners such as the LA Times (I paid $20 for a one-year weekend subscription – to get the coupons rather than the “reporting” – and actually got a $25 gift card from a major retailer followed by the Times upgrading me to daily delivery for free without my even wanting it. So that should tell you what the paper is actually worth), but the unemployment report is being so breathlessly hyped it is positively UNREAL. I’m in the latter camp with this one, and it is rare for me to brand something as not possibly wrong and in error, but intentionally fraudulent. I wish I could take this report, pick it apart at the household level, and find confirmation. Remember that last month the alleged 200,000 jobs that were gained were a phantom; when one looked inside the household data we found instead deterioration in both the employment participation rate and a decline in the absolute number of employed persons, while population rose. That is, the actual counts (as opposed to black-box statements) said that the labor picture deteriorated in December, contrary to the reported numbers. This month it was worse. Far worse. “Not in labor force” numbers leaped upward on an annualized basis (seasonally adjusted the “right way”) and what’s worse on a raw basis 1.572 million people exited the labor force last month. That’s 0.6% of the entire labor force that departed the working population in one month, three times the alleged drop in the unemployment rate. This means that internally, the numbers were even worse than they first appear! Indeed, the total number of employed persons fell. A lot. To put a number on it, the total number of employed persons fell by 737,000 by actual count. Now the cheerleaders will state that this is a common thing in January, and indeed it is. But the correct adjustment is to look at the population increase and subtract that back off as well. In other words, we take the loss of employment and add the population growth. When we do this we get a whopping 2.422 million in the wrong direction which was bested only by the -2.618 million in January of 2009 through the process of this downturn! This is not a strong report folks, and in fact documents an actual and ongoing collapse in the US labor force, despite the crooning on the mainstream media disinformation channels! We live in an age in which the most dishonest administration relies on the most dishonest media propaganda in American history. At least Hitler had the intellectual integrity to CALL his “news” propaganda. Good afternoon, America. 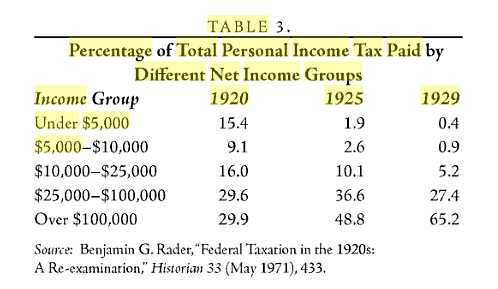 You each owe $10,000 more than the government thought you did yesterday. Hope that doesn’t bother anybody. Just so you know, a few things were different at the end of World War II than they are now. For one thing, who held the U.S. debt back then? The American people, who had purchased savings bonds, war bonds, and the like. When the government began paying those debts with interest, it was paying American citizens who invested that money back in the U.S. economy. Not so now. Now we owe China and Japan and other foreign countries. It’s foreign investment; and foreigners will reap the rewards at our children’s expense. A second thing is a corollary to the first. We used to be a nation of savers. Now we’re a nation of spenders. We’ve got no resources saved up for tough times. The moment we have an economic slowdown, people can’t pay their mortgages or their bills and everything goes to hell. Third, we actually PRODUCED something at the end of WW II. In fact, we were the most productive nation with the most powerful industrial base in the history of the world back then. Now? We basically don’t build anything any more. Now our economy is based primarily on consuming what others build. And fourth, that apex of debt at the end of WWII occurred BECAUSE of WWII. We went into debt because of a war against the most evil regimes in the history of the planet. And after we won that war, we went back to normal, and started quickly bringing our debt level down. Now it’s just the opposite. Our debt level is skyrocketing, but it isn’t do to a historic event; it’s just do to the fact that our government consists of spending addicts and we’re spending and spending and spending with no responsibility to the present or foresight for the future. We are so screwed. We WILL have a Great Depression that will make the last one look like a Love Boat cruise. The only question is how far we can string our insanity along until reality takes over and we implode. And what does our current administration have to say about it? How ’bout if we spend a few trillion more taking over the health care system?